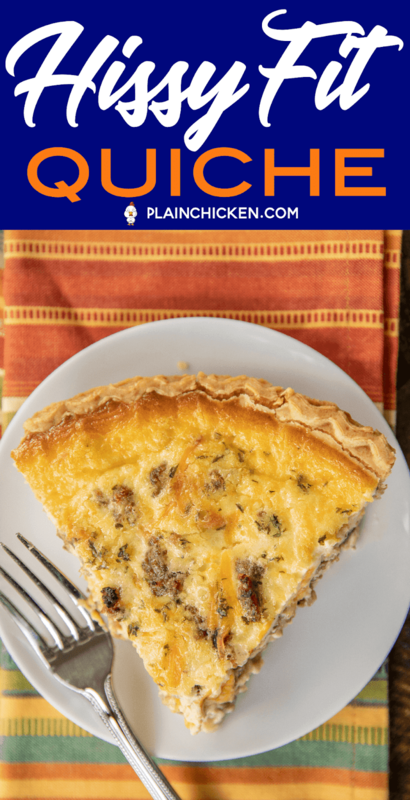 You will definitely throw a Hissy Fit if you miss out on this Hissy Fit Quiche! It has all the flavors of our favorite dip inside the quiche! YUM! 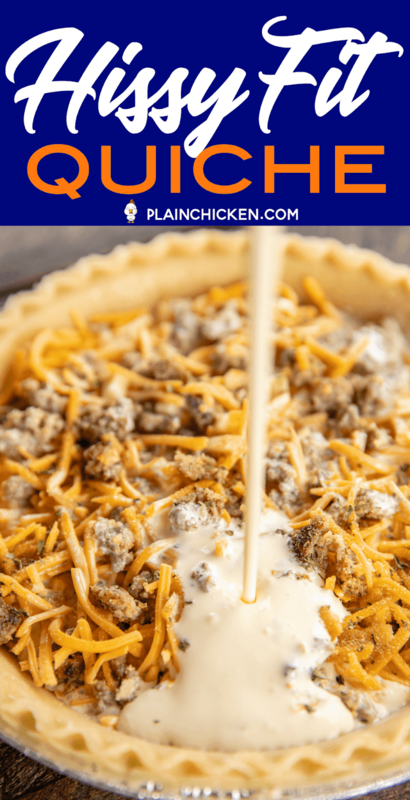 You can make this ahead of time and freeze it unbaked for later. When you are ready to bake, just thaw and pop in the oven. 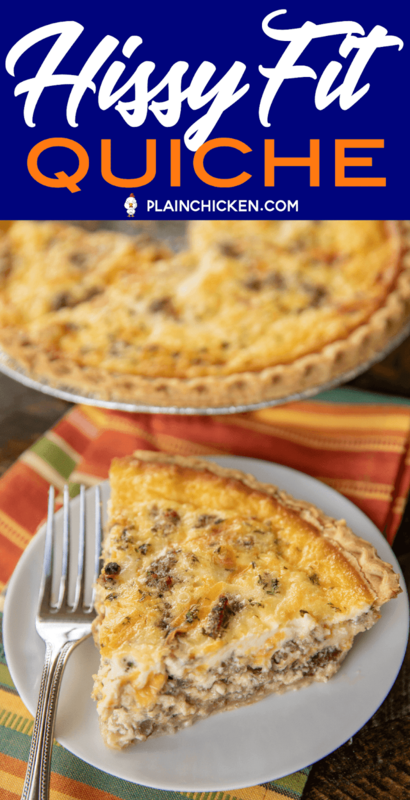 I always have a quiche in the freezer for a quick meal. 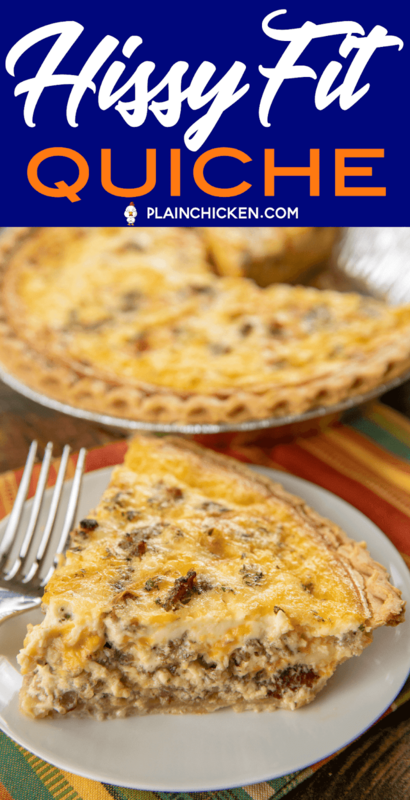 As I said, this quiche was inspired by our Hissy Fit Dip recipe. It is a favorite at all our tailgates. The dip has sausage, sour cream, muenster cheese, Velveeta cheese, onion powder, garlic powder and Worcestershire sauce. 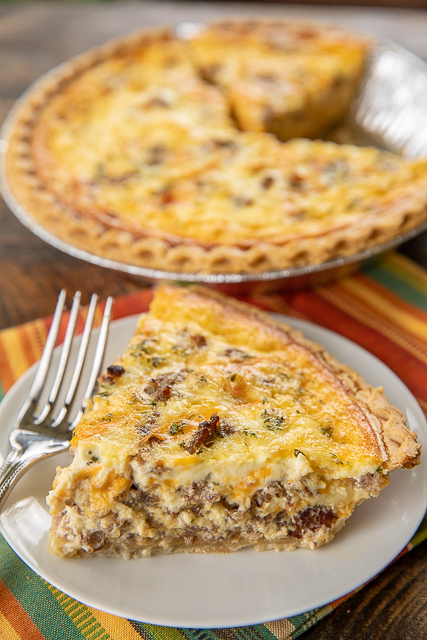 I put all those same flavors in this quiche! I like to use these Velveeta Shreds in the quiche and dip. It helps spread out the cheese in the quiche. I buy this at Walmart. You can certainly use regular Velveeta and chop it up into small chunks. 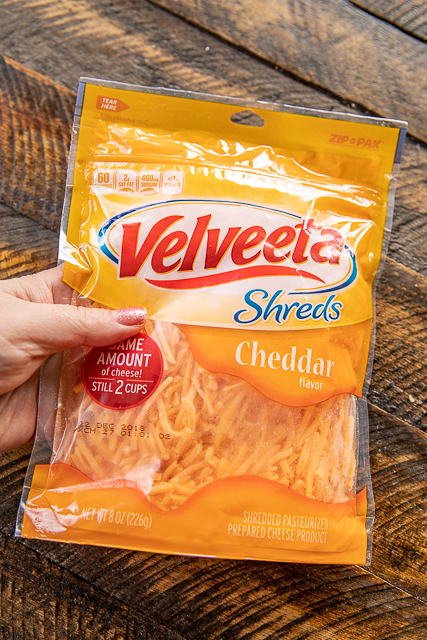 If you aren't a Velveeta fan, feel free to use your favorite cheese. We LOVED this Hissy Fit Quiche. The two of us almost ate the whole thing by ourselves! 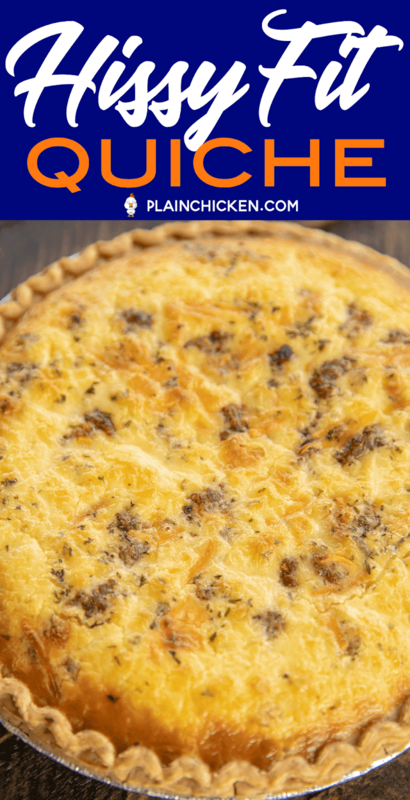 I loved all the flavors in this quiche. All you need is a simple salad or some biscuits and you are set! Spread cooked sausage in bottom of pie crust. Top with shredded cheeses. Sprinkle with onion and garlic powder. Whisk together Worcestershire sauce, eggs, heavy cream and sour cream. 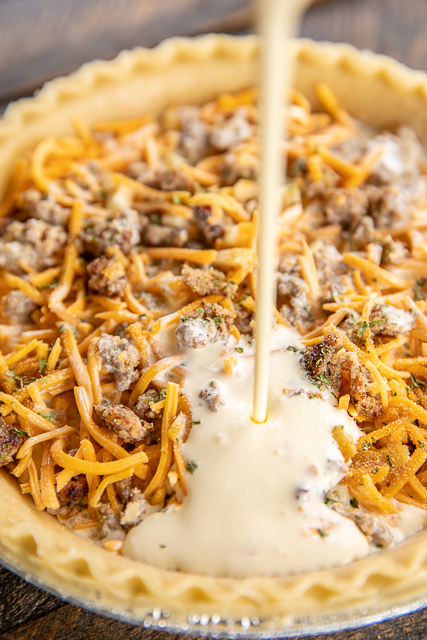 Pour egg mixture over sausage and cheese mixture in pie crust. Bake 1 hour. 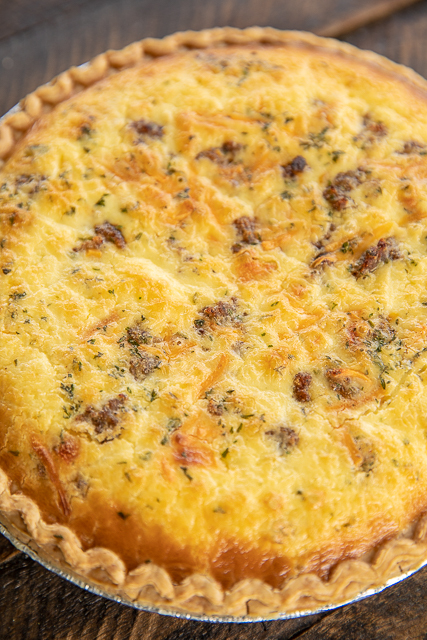 Allow quiche to rest for 5-10 minutes before serving. I love it! Man - all my favorite things - really you had me at the sausage and velveeta! 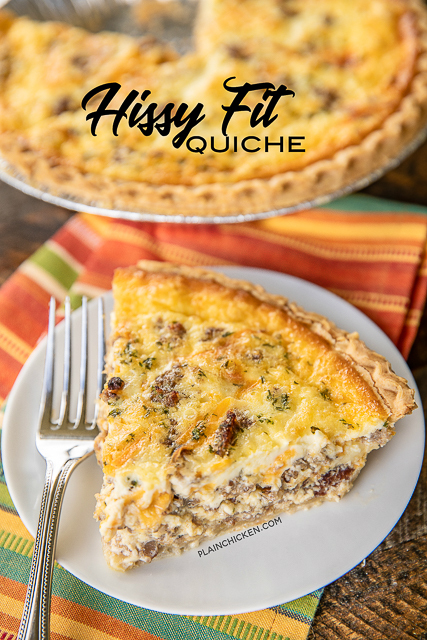 I love quiche and I love Hissy Fit dip, I just might have to make this tonight!